A unique English handmade soap, made from our exquisite English Chamomile oil and chamomile floral water. Added moisturising properties come from sweet almond and jojoba oils, and underlying the chamomile scent is a hint of lavender and sweet orange. Hand wrapped in a delicate tissue this is a popular soap and also makes an excellent gift. We aim for all our orders to be picked and dispatched within the time specified based on the delivery option you choose. If items are out of stock, you will be contacted by one of our friendly team who will ask you how you would like to proceed. You will have the option to cancel if you would rather not wait. Orders will only be sent out on completion of cleared funds. Cheques can take up to 5 working days to clear. UK orders are sent UK RECORDED (signed for) and incur a picking, packing, posting fee which depends on the weight of the order. We should despatch your order within 8 working days (note that orders may be delayed by the time taken to clear funds). For deliveries to EUROPE we send all our orders by Registered post. For the USA, CANADA and THE REST OF THE WORLD we send all orders by registered and signed for mail. All orders will be dispatched in strong, padded packaging, with your name & address on the front & our address on the reverse. Orders sent overseas or by UK recorded delivery will require a signature at the delivery point. If you instruct the courier company to leave products unattended, we will not be responsible for loss. Some of our oils are classed as flammable and in accordance with the law they require extra HAZMAT costs for shipping by air. If you order a product and are not in the UK we will contact you by e-mail with costs of special flammable shipping rates. We reserve the right to amend our mailing policy any time. 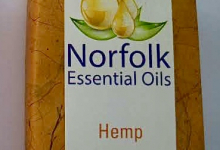 Norfolk Essential Oils wants you to be happy with your product, that's why we’ve made it very easy for you to return any item which complies with the conditions below. Goods returned for exchange or refund must in all respects be in the condition you received them. This offer applies for 28 days (most companies offer 14 days) from the date of purchase and is in addition to your statutory rights. Please remember to always obtain proof of return and keep this in a safe place. The product(s) must be unused. We simply will not accept returned products which have been opened or used. The product(s) must be in its original condition and in the box or packaging in which it arrived. All items must still be in their original & unopened shrinkwrap. We must receive the product back within 28 days from order being completed. You must also return all free products given to you by us at the time of purchase, or we will deduct the cost of those products (RRP) from your refund. The cost of any used free products will also be deducted from your refund. Personalised goods and made to order goods cannot be returned, so please be sure of your selection before ordering..
To return an item contact us first for a returns number (see contact details above), we recommend you use 1st class recorded delivery as we cannot be held responsible for items lost in the post. If we cannot exchange an item (eg. it is no longer available), we will offer you alternative goods or a refund.